Listen, I’ll be the first to tell you this year’s communications interns for the Memphis Redbirds are not fighters. From our affinity for top-notch folk albums to our mutual appreciation of a good cardigan, Alex and I reek of unadulterated pacifism. If there is a way to sidestep a squabble, believe me, most of the time we are going to do our best to find it. When you work in an environment as time intensive as this Redbirds internship is turning out to be, you better enjoy who you are working with because you are going to see a lot of them. We both thought we found each other tolerable at the very least, but the fact of the matter is there has been some bad blood boiling between us for some time now. As some of you might know, Alex showed his true colors when he chose a failed shot at victory over friendship in the epic Hot Dog race of ’09 and from there it has been a typhoon of animosity. I’m just going to say it: The man needs to get popped in the mouth. In following with the long-brewing beef between Alex and me, I have decided that the only sensible method of solving things is through the implementation of a physical altercation. Our shortcomings as fighters make the Redbirds game on Saturday, August 1, all the more important. 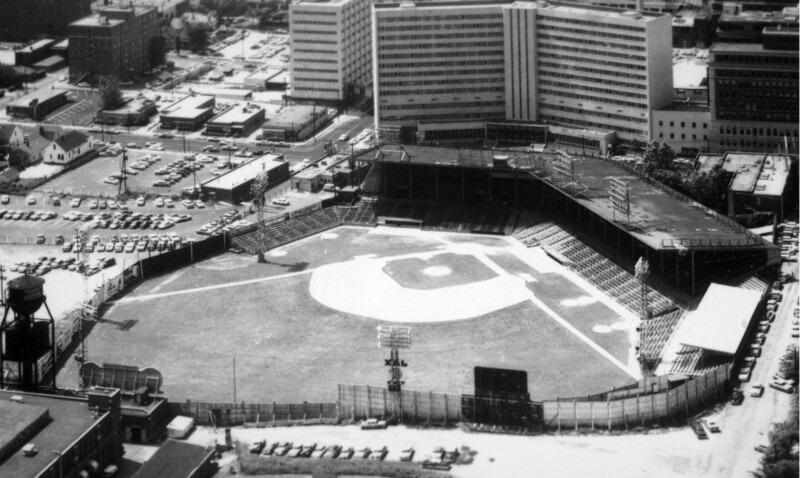 At the conclusion of their 6:05 p.m. outing against the Omaha Royals, the ‘Birds welcome Jerry “The King” Lawler and the rest of the gang from Memphis Wrestling as they bring their Redbirds Grand Slam to AutoZonePark. Alex and I will be taking an educational approach to the talents of “The Mouth of the South” Jimmy Hart, Buff Bagwell and the legendary Hacksaw Jim Duggan when they appear at AZP, and will take what we have learned and use it to refine our own fighting skills, ultimately using them against each other. I can’t decide whether or not to tell Alex about the upcoming bout. The sneak-attack is one of my bullet points. Stay tuned to Chirp Chatter to see exactly when and where the tentative battle between Ben “The Texas Serpent” Spradling and Alex “The Blob” Wassel will take place. Don’t let that stop you from placing your preliminary bets. The odds out of Vegas favor neither of us. Until then, make your way out to AZP for some Saturday night baseball and Memphis Wrestling. Thursday night, July 23 is AutoZone Park’s final Nostalgia Night of the season, honoring Russwood Park. The first 1,500 fans will receive a Russwood Park miniature replica. 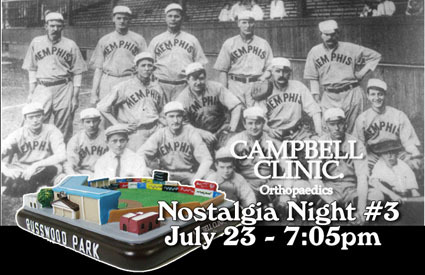 Gates will open at 6:00 P.M. for Nostalgia Night #3, sponsored by Campbell Clinic. Located at 914 Madison Avenue, Russwood Park was a famous landmark to Memphis natives from 1901-1960. The park was built from 1898-99 and had an original capacity of about 2,800. After several additions the park eventually saw 10,000+ crowds. The park changed its name from Red Elm Park to Russwood in 1915 to honor new owner Russell E. Gardner. In 1901, Memphis became a charter member in the Southern Association, bringing professional baseball back to Memphis after a brief five year hiatus. 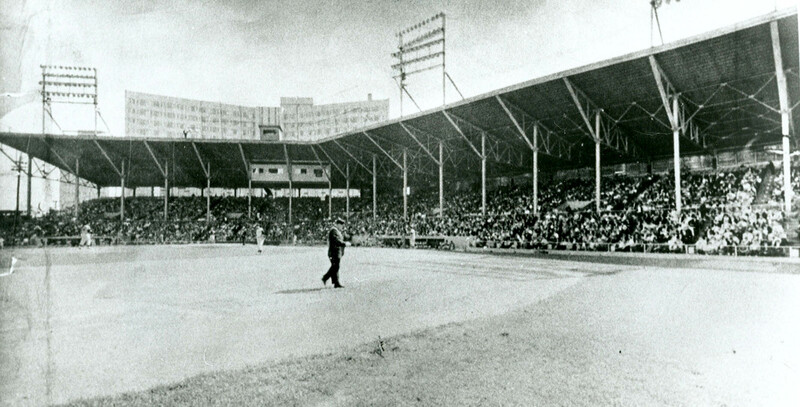 Russwood Park hosted its first game on May 5, 1901, where the Memphis Leaguers lost to the Little Rock Travelers. A new and modern Russwood Park brought a league record 254,725 fans through the gates in 1921 to watch their Chicks go on to win the city’s first title since 1904. 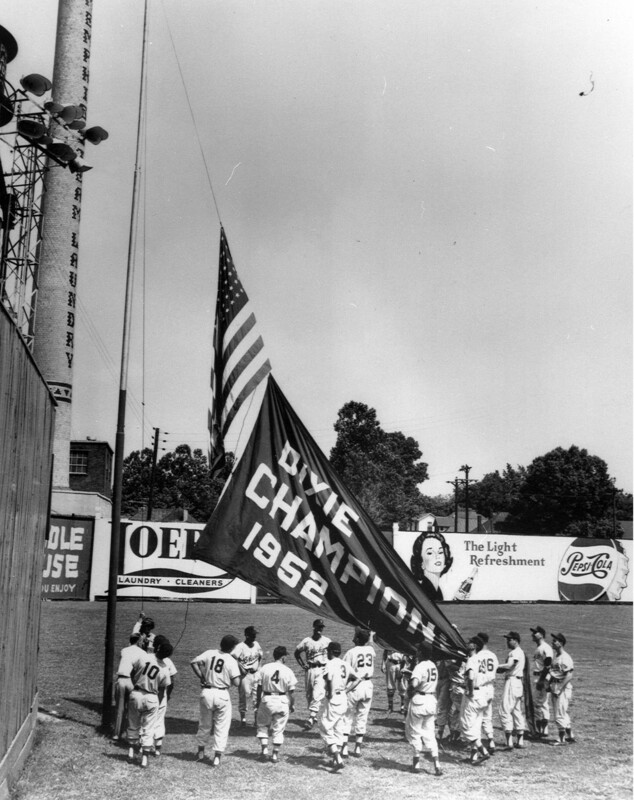 The Chicks brought five more titles to Memphis and Russwood Park in 1924, 1930, 1952 (above), 1953 and 1955 before the Southern Association disbanded in 1961. On Easter Sunday, Russwood Park hosted its final game, a major league exhibition between between the Chicago White Sox and the Cleveland Indians. Cleveland won the game before a crowd of 7,269 (above). 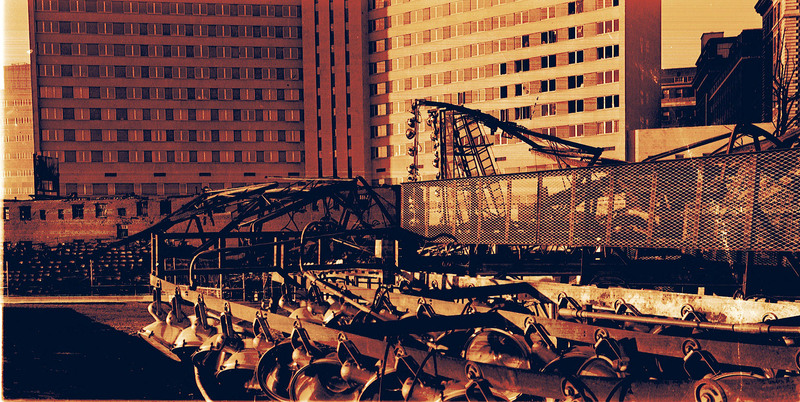 Later that night, the park was destroyed by fire believed to have started under the left field grandstand. In 2005, the Memphis Flyer’s Tom Walsh wrote a memorial piece on Russwood, where he recalled the wild events from the fire and the aftermath, saying the night became ‘the stuff of legend’. The Chicks practiced on the field the following day, but the park was never rebuilt. Nostalgia Night #3 will also honor Memphis’ Southern Association team, the Memphis Turtles, by wearing retro ball caps. The Turtles were Memphis’ team from 1903-1914 and won back-to-back league championships in 1903-4. Hall of Fame first baseman Max Carey was a Turtle from 1907-09. The Turtles team named was dropped prior to the 1915 season, when Memphis adopted the Memphis Chickasaws moniker. Related links: Elvis Performs at Russwood. 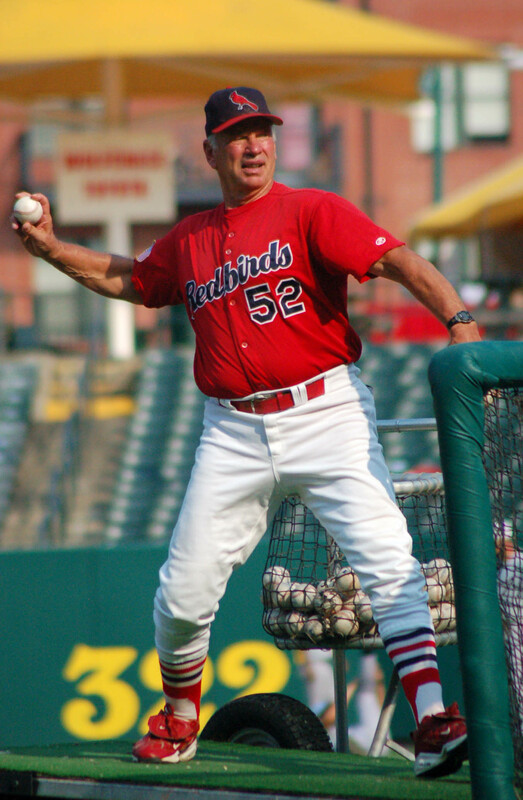 Began coaching in the St. Louis farm system in 1985 (Arkansas), but left in 1987. He later rejoined the organization in 1995. Dyar Miller served as Memphis’ pitching coach from 2001-2007 and was responsible for the development of big leaguers Dan Haren, Anthony Reyes and Adam Wainwright, among others. 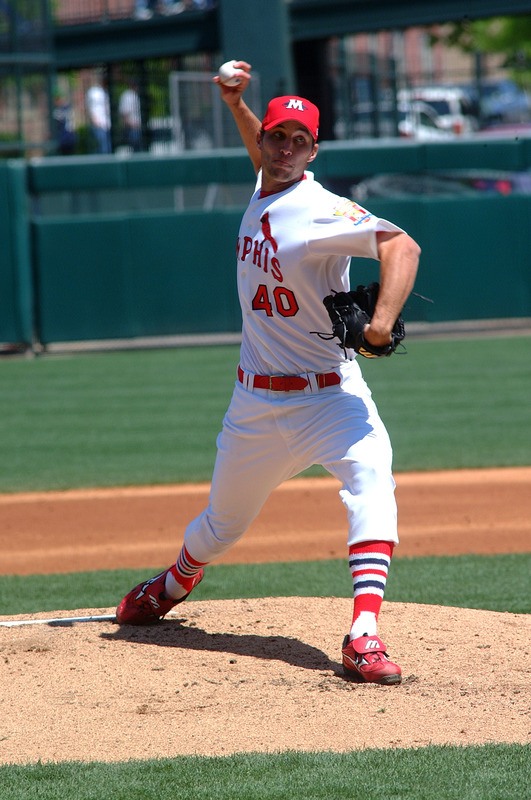 Miller spent eleven seasons in the St. Louis Cardinals organization before becoming one of the club’s roving pitching coordinators in 2008. Back in his playing days, Miller was first signed as a free agent by the Philadelphia Phillies, but didn’t see any major league time until he joined with the Baltimore Orioles. He made his major league debut on June 9, 1975 against the Oakland Athletics, entering the game in the 14th inning. Miller was a career reliever, only starting one major league game. Miller’s last big league appearance was on September 2, 1981. He finished with a career 23-17 major league record, 22 saves and a 3.23 ERA over 11 combined seasons with the Orioles, Angels, Blue Jays and Mets. The Dyar Miller bobblehead (above), the sixth of the 2009 collection, will be given away to the first 1,500 fans to arrive at Tuesday’s home game against the division-leading Nashville Sounds. Gates for the game open at 6:00 P.M. Favorite Ballplayer Growing Up: Ken Griffey Jr. The English. The Natural. The Professional. The Chevy. The Dali. The Handlebar. The Fu Manchu. The Horseshoe. The Imperial. The Lampshade. The Walrus. The Finger. The Tapered. The Painter’s Brush. The Pencil. The Zappa. The Selleck. The Chaplin. The Brimley. The Gelatin. The Caterpillar. The Rib-eye. Whatever your style, it makes no difference, we’re all one in the same. Earlier this week, the communications department professed we were growing mustaches, that same day the Redbirds started winning. Now five days of growth in (yes that’s right, the pictures are actually rather thinning), the Redbirds have four wins and are going for five. Last night the ‘Birds got their first sweep of 2009 behind the arm of major leaguer and fellow facial hair experimentalist, Kyle Lohse. For anyone to say that the sweep wasn’t the direct result of our lip-friends is clearly not for us, but against us. We encourage others fans and departments to join in on the support of the Memphis Redbirds by growing your own mustache. Who knows, maybe in a few weeks we can start to incorporate the twist or the braid, but until then…Happy Winning and Happy Growing! 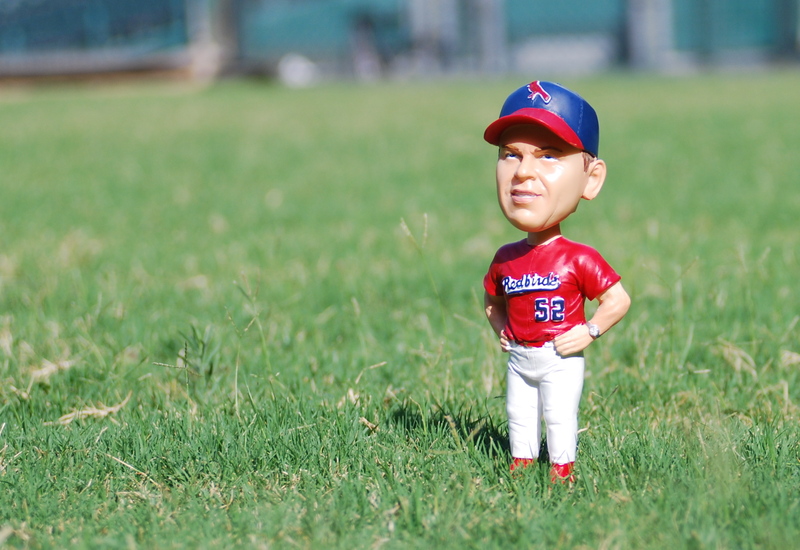 It probably doesn’t happen very often that a player from the visiting team gets honored on a bobblehead…but it will Tuesday July 7 when John Gall of the Round Rock Express takes on his former team to face the Memphis Redbirds. 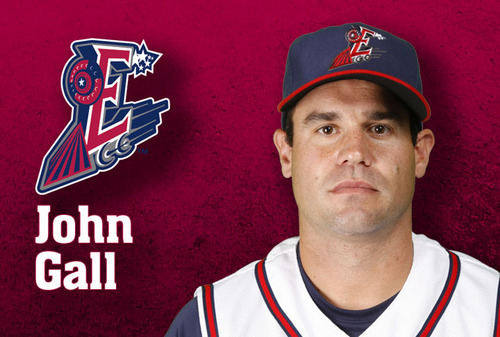 JohnGall played in the Cardinals organization for seven years and with the Redbirds from 2003-2006. 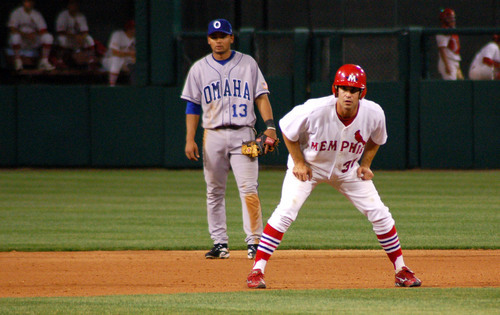 He played an even amount as an outfielder and a third baseman for the ‘Birds, but has played the majority of his ’09 games at first base for the Express. The California-native played 454 games in Memphis and hit .292 (476×1630) with 57 homers, 231 runs and 255 RBI. He made his major league debut on July 26, 2005 and went 2×4 with one double against the Padres. Gall only played 30 games for the Cardinals before being released from the club in the summer of 2006. Since then, Gall has played for the Marlins and is now in the Astros organization. 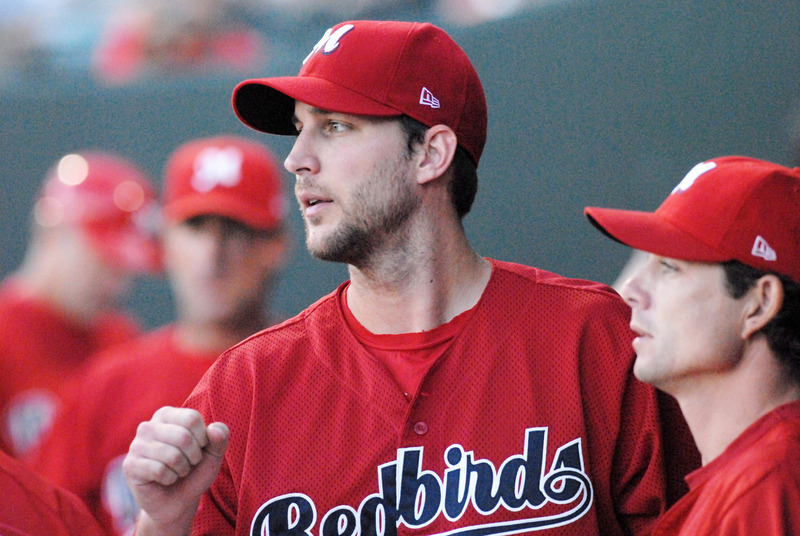 Gall has always had good numbers against the ‘Birds and entered 2009 hitting .326 (28×86) against his former team. His AutoZone Park numbers are even better, where he has a .365 (19×52) as a visitor. Six of his seven home runs and 14 of his 20 RBI against the Redbirds have been at AutoZone Park. July 7 being his bobblehead night, who knows what kind of numbers Gall will display. So far in the series, Gall is 3-for-7. 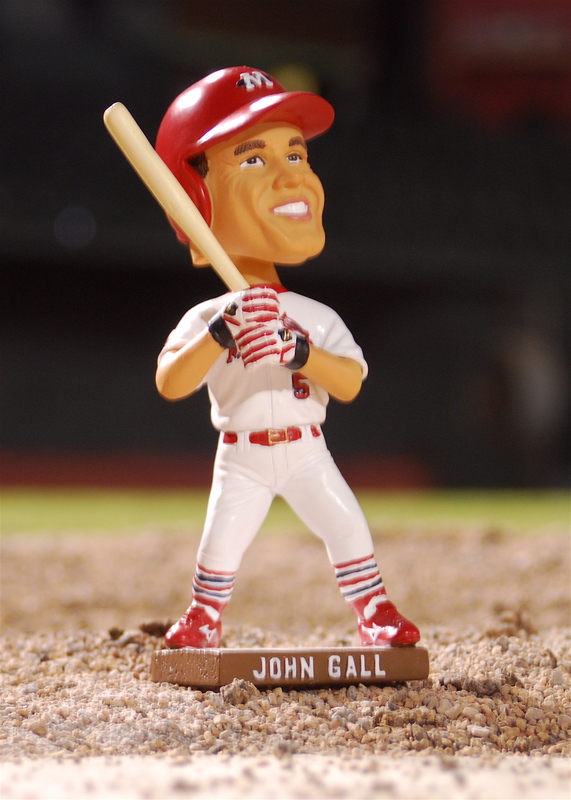 Arrive early, because the John Gall bobblehead (above), the fifth of the 2009 collection, will only be given away to the first 1500 fans to arrive at Tuesday’s home game on July 7, when the Redbirds host John Gall and the Round Rock Express. 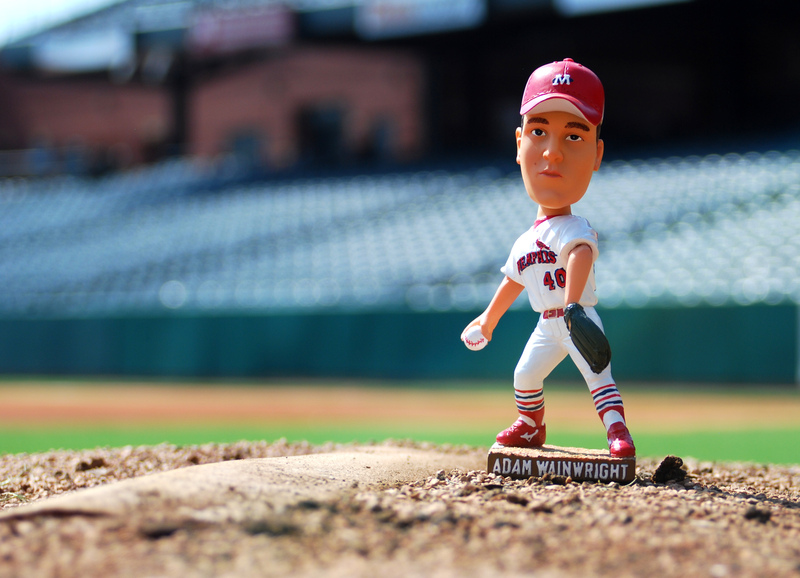 Gates open at 6:00 P.M.Hear Gall’s thoughts about having his own bobblehead at AutoZone Park. Here.